Ever since their launch, Social Networking Sites (SNS) have had a slow start. However, today they have become a rage. We have SNS in every niche. Facebook is regarded as one of the best SNS. Off late this website has been in the news for changes in privacy settings and advertising policies. On search engine giant Google, users are shown advertisements relevant to the kind of information they search. Thus Google went on to become the most effective search engine in displaying targeted advertisements. Facebook has realized that there is huge potential in displaying only the kind of advertisements the respective user would like to go through. This social network website has made it official that it is planning to introduce its external advertising network soon. One of the most popular features of Facebook is the ‘Like’ feature. This feature allows users to like a wall post or link they come across on Facebook. Facebook users can do so by clicking on the Like Button. This website plans to use the cumulative date of all users likes to display advertisements outside Facebook. The company has made it official its plans to spread its advertising network beyond its own walls. This however is regarded as the initial stage and the company treats this as a trial and error experiment in the quest to earn more revenue. Media critics share the opinion that the success or failure of this policy will have a direct impact on the company’s revenue-growth strategy. With the aim of improving its governance policies Facebook came up with the voting process. Per this process change of any kind before it is being implemented has to get 30 per cent of users favoring the respective change. This voting policy applies to the introduction of external advertising network on Facebook before this significant change can be introduced. However, the last time the voting process took place only about 0.03 per cent users participated. Going by statistics, to get about 30 per cent people to vote for this change would mean having about 300 million Facebook users participate in the process. This makes it almost double the number of people who participated in the recent US elections. This is next to impossible a task to achieve. This is one of the reasons why Facebook plans to do away with the voting system. However, the company promises that it will work on users’ feedback before it implements any policy changes. Based on users’ feedback Facebook has implemented changes on the proposals that they have made. Depending on Facebook users’ views and feedback, changes have been implemented on Facebook’s governing policies. Now Facebook has plans to do away with the voting system completely. Instead this system will be replaced with a more meaningful process to obtain users’ feedback. However, the company promises to provide a seven day time period for review and comment before finally implementing changes to its Data Use Policy (DUP) and Statement of Rights and Responsibilities (SRR). 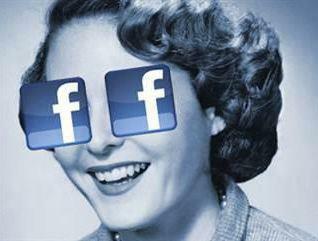 Before the External Advertising Network is implemented, Facebook will work on users’ feedback. Where targeted advertisement is concerned, Facebook’s external advertising network attempt will prove to be a big hit. Going by how this concept works, everything that a user does and says on Facebook will be used to serve him with advertisements. Facebook has many users and a great traffic. Chances of this policy succeeding are high, thus doubling this websites revenue. This is a guest post by Ethan Millers of bw9.com, a site that offers savings and current information on comcast cable rates and comcast internet speeds, as well as other Comcast.com services.